The BFI Film Audience Network today announces details of events and screenings taking place across the UK as part of BFI COMEDY GENIUS, the UK’s greatest ever celebration of film and TV comedy, running from now until the end of January 2019. From boundary-pushing writers and performers who say the unsayable, to silent slapstick heroes of the past and disreputable and anarchic voices of the present, this season will celebrate comic genius in all its glory. From a screening of Monty Python’s LIFE OR BRIAN at Derby Cathedral and pop-up barbershops in selected UK cities influenced by the iconic series DESMOND’s, to a celebration of the hilarious DERRY GIRLS in Belfast and a live custard pie fight at the Campbeltown Picture House, the most remote cinema in the UK, Comedy Genius will celebrate icons of comedy in fun and surprising ways right across the UK. Comedy Genius will be a provocative and timely moment to pause and contemplate comedy in contemporary Britain. As we collectively face fundamental questions of identity, social responsibility and nationhood in a post-Brexit and post-#MeToo world, are there now some lines that simply should not be crossed or are the lines more blurred than ever? Is it possible to enjoy un-PC comedy of the past with a clear conscience? And how are a new generation of ‘woke’ comedians changing up the game? As arguably the most subjective form of entertainment, comedy has the power to provoke exciting and varied debate – and make us laugh with fart jokes. 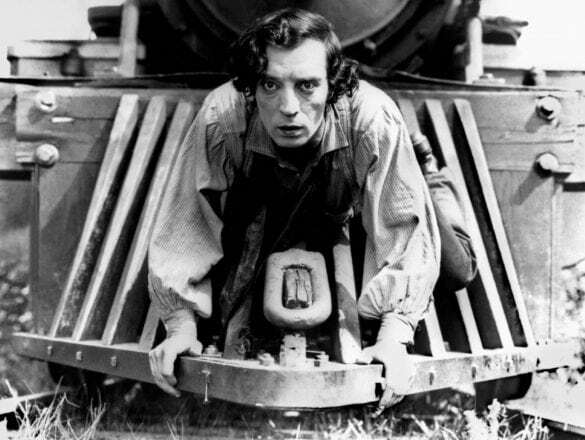 Stoke Film Theatre will host a special screening of Buster Keaton’s classic silent comedy The General (Buster Keaton, Clyde Bruckman, 1926), with live piano accompaniment by Stephen Horne on 25 October. Broadway Nottingham will present a Some Like it Hot (Billy Wilder, 1959) ‘strum-along’ led by legendary cabaret performer Tricity Vogue for ukulele enthusiasts, as well as a season celebrating French comedy with screenings of films such as La Grande Vadrouille (Gérard Oury, 1966) and C'est la vie! (Olivier Nakache, Éric Toledano, 2017). Nottingham Contemporary will celebrate the visionary Buster Keaton, as well as paying homage to the experience of the Silent Picture house. 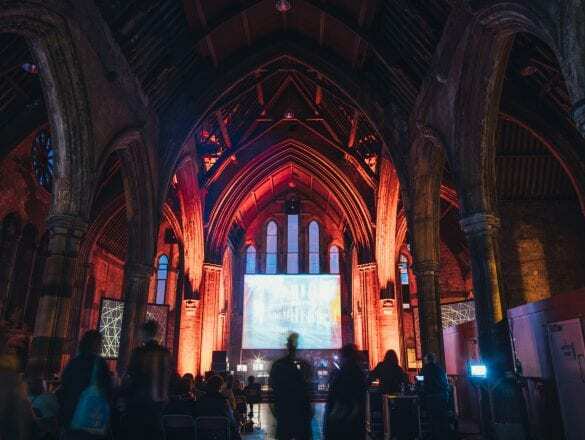 The Buster Keaton Pictureshow will feature a screening of a Keaton classic accompanied by a live original score by trio Haiku Salut, with a mix of rock, folk and electronica intertwined with a lamp show, creating a magical and spectacular evening.